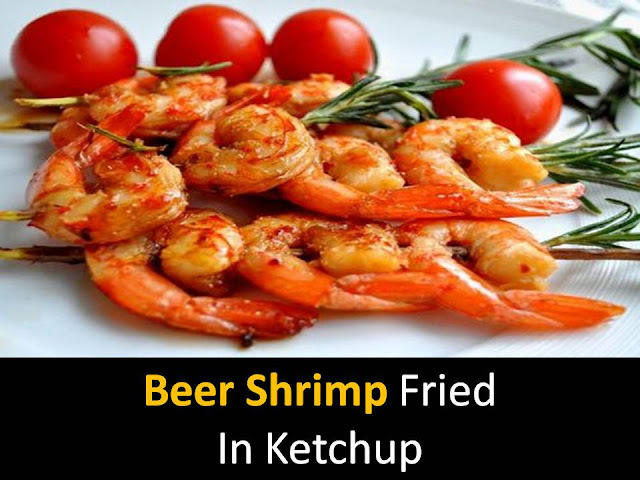 Shrimps are an ideal beer snack for a large and small company that loves seafood. But so far not everyone has learned how to cook shrimp for a beer at home. Such people will be interested in this post. Step1 - Thaw frozen boiled shrimps and Boil shrimp in boiling water for a few minutes. Then it is desirable to clean the shrimp - in this case, they are better soaked in sauce and spices. Step2 - Leave the shrimp in the pan for a few minutes. After that, pour them with soy sauce, ketchup, add chopped garlic. When the shrimp are reddened and rolled into snails, put them on a plate. Shrimp for beer, roasted in ketchup. Served hot and when serving, you can sprinkle with lemon juice.